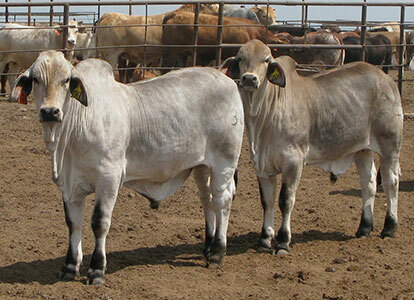 We breed our cattle to produce beef. We have always selected for heavily muscled cattle that are structurally correct. Using ultrasound technology since 2011 we have improved our average IMF scores and identified the genetics and lines we need to concentrate on to improve carcass merit, while still keeping our balance of productive traits. Our breeding program has utilized trait leaders for carcass values such as JJ MS TRES CRATA 440/1, JJ CUATRO DIDOR 879, and SRW MR. FLYING W 277 as well as bulls we have raised with good carcass EPDs. As we move forward we are using ultrasound, data from ABBA carcass evaluation program, and DNA gene mapping to continue to improve the carcass quality of our cattle. The ABBA carcass evaluation program has been an especially good way to determine improvement. We have not always participated but in 2005 we had the 1st and 3rd high indexing steers and the high indexing overall sire SRW MR. FLYING W 154 .In 2013 we had the 3rd and 4th place steers. We are currently using DNA technology for tenderness to identify cattle with good markers for tenderness match them up and breed them accordingly. We are very excited about the improvement we have made in this area and what the future holds in this regard. Our line-bred genetics produce consistent quality in all traits and with new emphasis on marbling and tenderness we will improve the quality of our product for commercial as wells purebred producers in the years to come. As always we will put emphasis on these traits while not forgetting to keep in mind to always breed for an efficient, productive, fertile and balanced herd of cattle. Our goal has always been to breed cattle with the commercial producer in mind. 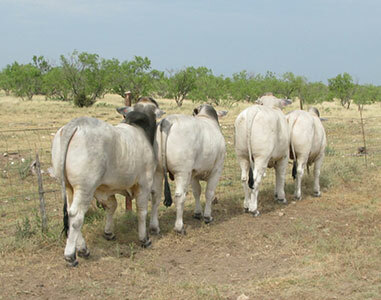 We have sold bulls to satisfied buyers in Texas and New Mexico for over 40 years that had to endure big pastures and tough conditions. Flying W Ranch bulls are muscular, clean sheathed, and will produce calves that cattlemen anywhere will be proud of. Our production based consistent genetics will produce good quality uniform calves everyone is looking for.